Reports out of Korea indicate Samsung will be unveiling a new “stretchable” OLED scene at the Society for Information Display’s trade show. The new technology falls into the same category as other flexible displays that have been demonstrated but have yet to be introduced commercially. Likewise, the Korea Herald reports that the screen is in very early development and Samsung is unsure when it can be commercialized. The screen that the company plans on demonstrating in L.A. is a 9.1-inch display that is capable of bending in on either side of the screen. 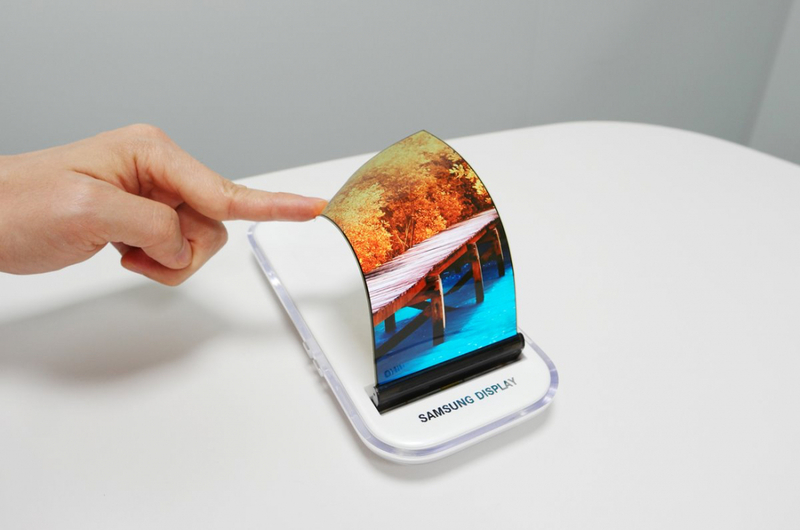 “While current flexible OLED is able to be transformed in only one side, this stretchable OLED can be transformed -- whether curved, bended or rolled -- in both sides, above and below,” said a Samsung spokesperson. In other words, the screen can stretch outwards (convex) or inwards (concave). The amount of flexibility is 12 mm in either direction and after flexing the display will resume its original shape. The teaser image released by Samsung (see above) reminds me of that movie The Frighteners with the face coming through the wall. The practical applications of the technology are sketchy this early into development. However, screen durability and resiliency on smartphones is a use that immediately comes to mind. Samsung also envisions it being used in automotive applications, wearables, and IoT devices. Having a screen that could wrap 360 degrees must have its uses. Samsung is also expected to exhibit its “glassless three-dimensional OLED,” which is a 5.09-inch display that shows objects from different angles depending on the angle in which you view the screen. And if that is not enough they also have a 1.96-inch screen that is capable of a 3840 x 2160 UHD resolution that is designed for use in VR and AR devices. The SID Symposium kicked off yesterday, May 21 and runs through May 26.